The physical properties of Glass Reinforced Plastic (GRP) allow it to be easily tooled and manufactured, with no limits on size, shape or finish, giving designers creative freedom to run wild with their imagination. 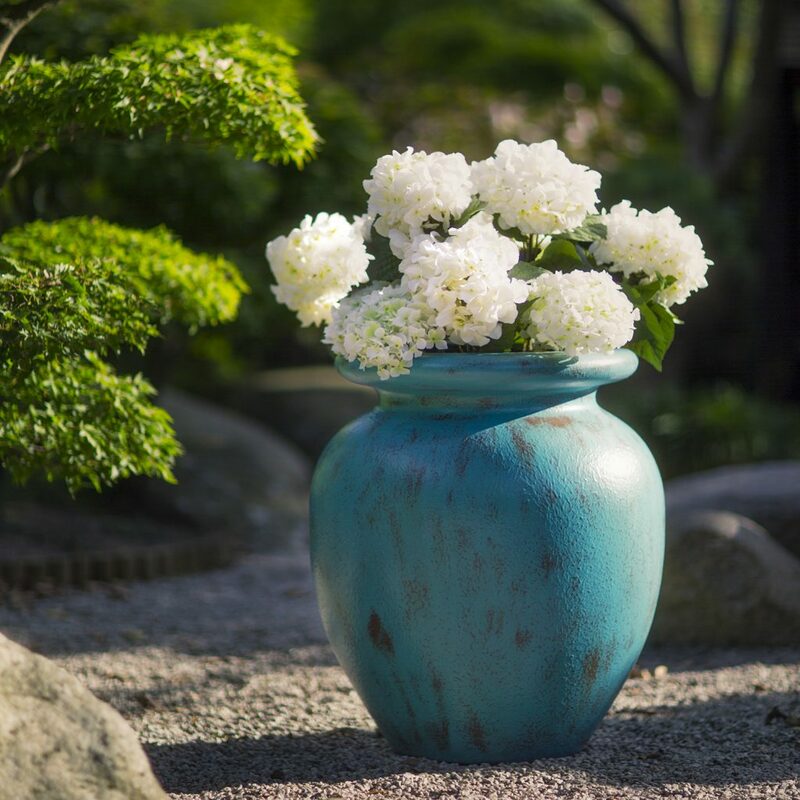 Large projects can be made out of GRP simply by thickening the planter walls to ensure strength. Kilo for kilo GRP is stronger than steel yet, unlike stainless steel, it is resistant to salt air, chemicals (including most acids) and UV light. 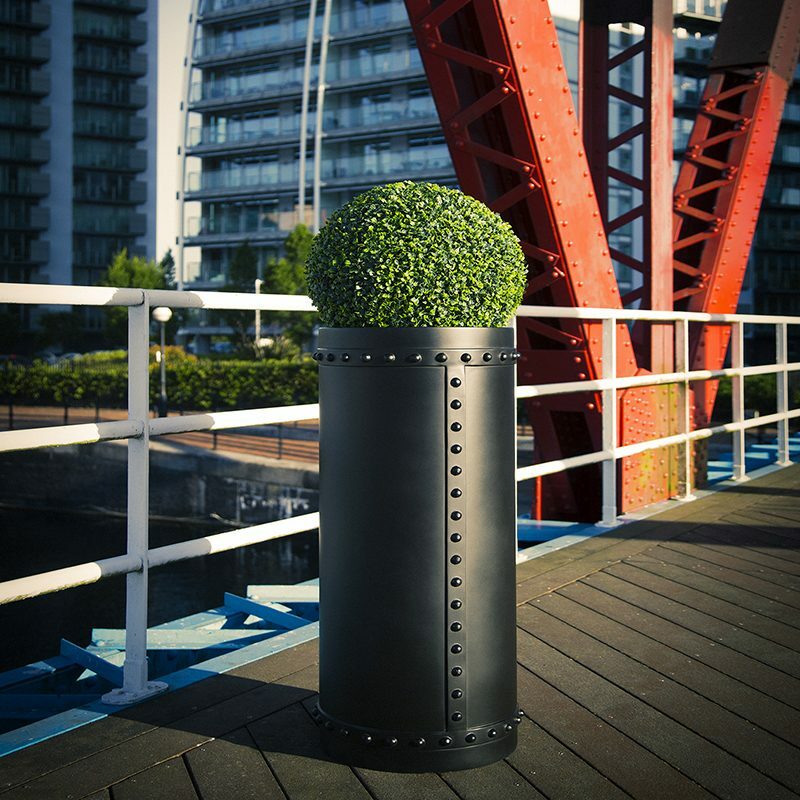 In extreme temperatures, GRP does not change or affect plants roots, shielding them from frost and heat from the sun, making GRP planters a more economical and lightweight alterative to steel. Longevity is another GRP benefit, Europlanters guarantee their GRP products for 10 years, although they are confident GRP will last much longer than this. GRP is corrosion resistant, water tight, strong, robust and reduces a product’s weight, it requires less maintenance – making it a highly attractive option compared to more traditional materials like timber or metal. No rust, no painting, no wood rot! GRP is simply maintained with a soft cloth and warm water. GRP can easily be drilled, unlike steel which can be very difficult, or concrete and timber which can split or crack. 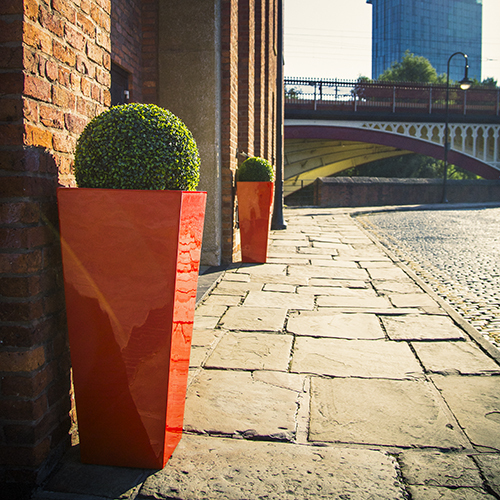 The beauty of GRP planters is that they can be made in any colour, texture and finish – including effects such as brick, wood and metal. GRP is also compatible with many other materials and can be used in conjunction with them on a variety of ideas. Due to its lightweight properties and flexibility GRP is regularly used on a wide variety of roof gardens and terraces. Large planting beds can be created by fixing smaller sections of planters together, enabling them to be easily transported and to fit into lifts or up staircases, thus avoiding the additional costs of cranes, hoists etc. 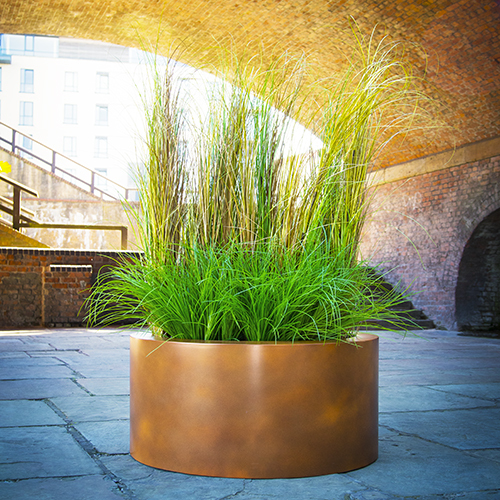 These individual planters are then simply bolted together to construct larger planting beds. As GRP is lightweight, it adds very little extra weight on to a roof – unlike concrete, steel or timber. Should GRP ever become damaged it is much easier and more cost effective to repair than steel, aluminum or timber, which can also corrode, rust or rot. 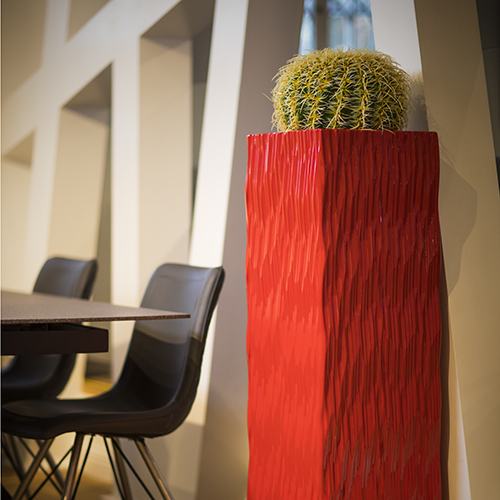 In a gel coat finish, scratches can be easily removed with T-Cut and if a sprayed finish is specified, Europlanters can offer small containers of touch up paint.